Bass fishing is a specialized form of angling that requires a particular set of tools, not least of which is an appropriate fishing reel. With the right bass fishing reel by your side, you can significantly decrease the level of difficulty involved in the process. However, finding a reliable and appropriate bass fishing reel can be a challenging feat these days, thanks to the overabundance of options available. But the good news is that having the right information can make the process significantly easier, and that’s precisely what we’re going to help you with this article. Whether you’re new to bass fishing or an old hand looking for something new to replace your old reel, we’ll definitely place you in a better position to make an informed decision by the end of this article. A fishing reel is a spot on your fishing rod where you store your line. It’s typically shaped like a pulley, which allows it to keep large amounts of fishing line so that you don’t have to keep replacing it. The great thing about good fishing reels is that they enable you to reach really long distances with your lure, and also to reel in your catches easily. They’re incredibly important to bass fishing because they definitely simplify the process of fishing in deep water and catching large game fish. 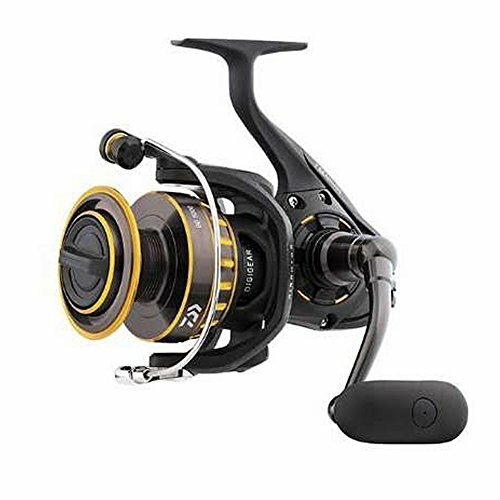 Also, reels come in different types, from freshwater to saltwater fishing reels, as well as different ones for various levels of difficulty and expertise. Here are some of the most important features to look out for when shopping for a bass reel. First there’s the spool, which is responsible for keeping the line in place, and each reel spool has a different handling capacity, also known as the pound test. For example, some spools will be advertised as having an 8-lb test at 250 yards of line, while others may have a pound test of 12 at 160 yards of line. This feature makes it possible for you to reel your line in when you need to. The bail is responsible for opening and closing the spool so that you always have the right amount of line to cast with. The bail is either enclosed, which means that no line will come out of the spool, or its open, which means that the line is free to exit the spool. This is what you use to reel in your line. A spool’s gear ratio tells you how many times you’ll have to revolve it to retrieve your bait. A higher gear ratio usually translates to a faster and more effortless retrieve, whereas a lower ratio is more suitable when used in conjunction with deep-diving crank baits. Bearings are important to make sure that the spool is working effortlessly, and when it comes to ball bearings, quality is more important than quantity, as stainless steel bearings will often perform better than brass bearings. The drag is a critical component of the reel. Thanks to the tension created by the drag, the fish you catch won’t be able to take out as much line when you’re bringing them in, which means that you can take in difficult fish without getting your line tangled or feeling tired in the arms. There are generally three types of bass fishing reels worth considering namely, spin cast, baitcasting and spinning reels. Experts say that spin cast reels are great for beginners because using them is a breeze. However, there are multiple downsides to using a spin cast reel that could frustrate a more seasoned angler. For instance, spin cast reels will slow you down with their high gear ratios and short casting distance. They also have a low line handling capacity, which means that you won’t be able to cast a heavy line on this reel. Spinning reels are mostly suitable for professionals and experienced anglers because you can customize them to suit any application. For example, you can tighten or loosen the drag so that it’s easier to control and won’t break off, and they work equally well with small lures and light line. However, using a spinning reel could mean that you’ll have to contend with line coils as well as back reeling, a problem that you wouldn’t typically have to deal with when using the other types of bass fishing reels. Lastly, a baitcasting reel is different from the spinning and spin cast reels in that it features a revolving spool that makes it easier to cast while using heavier line. It’s also easier to use and enables you to make super long casts regardless of the pound test line. However, if not controlled properly, then a bait casting reel can lead to problems with distance and line tangles. So, you really need to put it through a few practice runs before you start using it on a more permanent basis. Baitcasting and spinning reels each shine in different conditions and fishing applications. Baitcasting reels work great when using a particularly heavy line with a pound test of 10 or more, whereas spinning reels are more suitable for a lighter line. That said, fishing for bass in the winter might actually require the use of a baitcaster, paired with a light monofilament line, as that will enable you to reel in your catches quicker. Baitcasting reels are very versatile because you can use them with mono, braid, and fluorocarbon with equal ease. Plus, they work great when trying out power fishing techniques like flipping and the like. Conversely, spinning reels tend to excel in windy weather conditions because they’re less likely to backlash when compared to baitcasting reels, and they’re also ideal for the spring because that’s when you have to use finesse tactics and fluorocarbon line the most. This Shimano Citica baitcasting reel works best when utilized in conjunction with a mono line that has a ratio of 8/180, 10/155 and 14/110. It promises long casting distances with a gear ratio of 5.5:1, but it’s also available in 6.3:1 and 7.2:1 gear ratios. 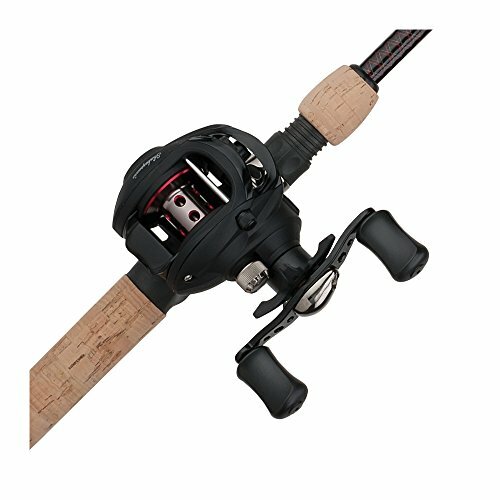 This bass reel is also quite light, weighing only 7.5 pounds and it has a maximum drag of 12 pounds. Also featured in this reel is a very high tech SVS Infinity braking system which is apparently really easy to work, mainly because it’s paired with five stainless steel ball bearings and 1 roller bearing. The Kast King Royael baitcasting reel is a versatile piece of equipment that works for most applications, including bass fishing. It features a cross-drilled anodized aluminum spool which makes it very lightweight and easy to handle. This bass reel has a high gear ratio of 7.0:1, and a brass gear structure with a drag of 17.5 pounds. The 11 ball bearings are made from corrosion resistant MaxiDur, and it comes with not one but two magnetic and centrifugal brakes for maximum control that significantly minimizes backlash. Although this is primarily recommended for freshwater bass fishing, you can also use this reel for saltwater applications with little maintenance required. Did we mention that this reel only weighs 7.5 pounds? Yep! And it has a line capacity of 10-lb /200YD, 12-lb/165 and 14-lb/120. Casts smooth and long - no coils! 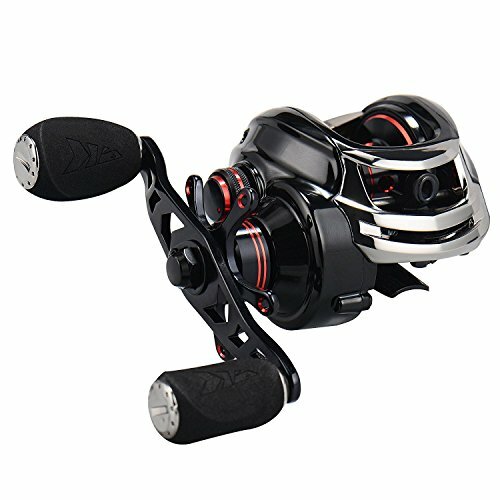 With its sleek black and gold design, this innovative spinning reel from Daiwa features Dynamic Cut Aluminum ABS spool and a lightweight design that makes it super easy to handle. Its waterproof drag system is paired with a machined aluminum screw in the handle, with 7 ball bearings and an infinite anti-reverse system. You can adjust the spool’s height using the 3 plastic washers that this reel comes with, and this helps to even out the line whenever it gets imbalanced. This bass reel weighs just over 8 ounzes, and many have said that it works great for bass fishing as well as many other applications. 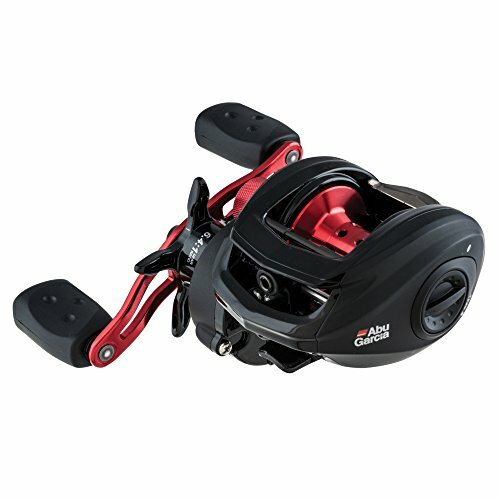 The Abu Garcia brand is well known for offering premium quality fishing gear, and that’s precisely what this bait casting reel offers. 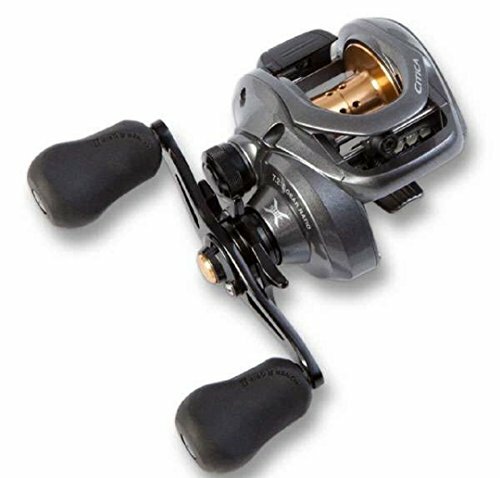 This bass fishing reel is made from lightweight graphite and features a machined aluminum spool, as well as 4 stainless steel ball bearings and a power disk drag system for maximum control. The handle is grip-friendly, thanks to a compact bend that makes it more ergonomic, while the MagTrax brake system is designed to ensure that you cast long and smooth for longer. It has a line capacity of 140/30 when using braid, and 145/12 when using mono. Also, the gear ratio of this reel is 6.4:1. With a gear ratio of 6.2:1 and a pound test of 20, this baitcasting reel from Shakespeare actually comes with its own rod that works perfectly with it, so you don’t have to worry about what you’ll be pairing the reel with. Many who have used it comment that it works great for pulling crankbaits, and it’s able to cast far and wide with no coiling. You’ll also be glad to know that it’s quite a lightweight combo that’s easy to handle and it casts like a dream. Bass fish are not easy to catch, so don’t be caught using the wrong reel as that might make matters worse for you. For a stress-free bass fishing excursion, invest in a lightweight yet sturdy reel with a good quality spool and ball bearings, as well as a line capacity that matches your needs and preferences. If we were to recommend one reel for bass fishing out of the five that we reviewed in this article, it’d have to be the Shimano Citica. This reel is incredibly versatile, with the ability to cast long and accurate, plus it’s available in varying gear ratios to suit all types of angling preferences. Of course, we like the fact that it has a maximum drag of 12 pounds and the high tech braking system doesn’t hurt either, and the five stainless steel ball bearings make it a very high quality buy.